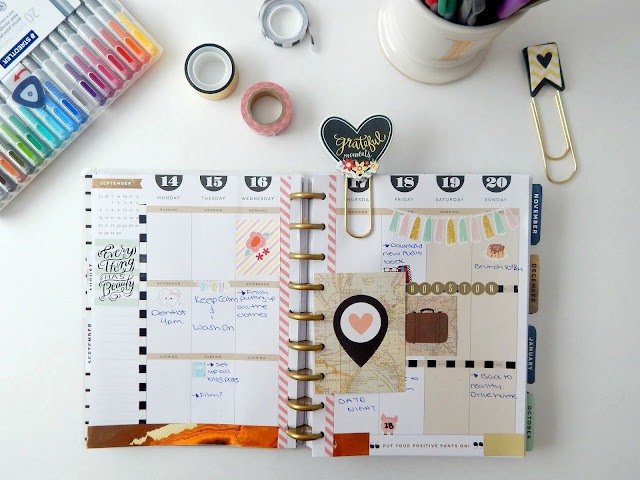 Here is this week in my Me & My Big Ideas The Happy Planner. I am looking forward for this weekends trip to Houston with Husband to visit some friends. This is also my first time incorporating cardstock paper elements and I was really excited about it. I purchased a pack at Michael's with various sized journaling cards and cutouts. The travel ones fit right in with this weeks plans. All shops are properly tagged on my Instagram and don't forget to use #planwithmascara so I can see what your planners look like.